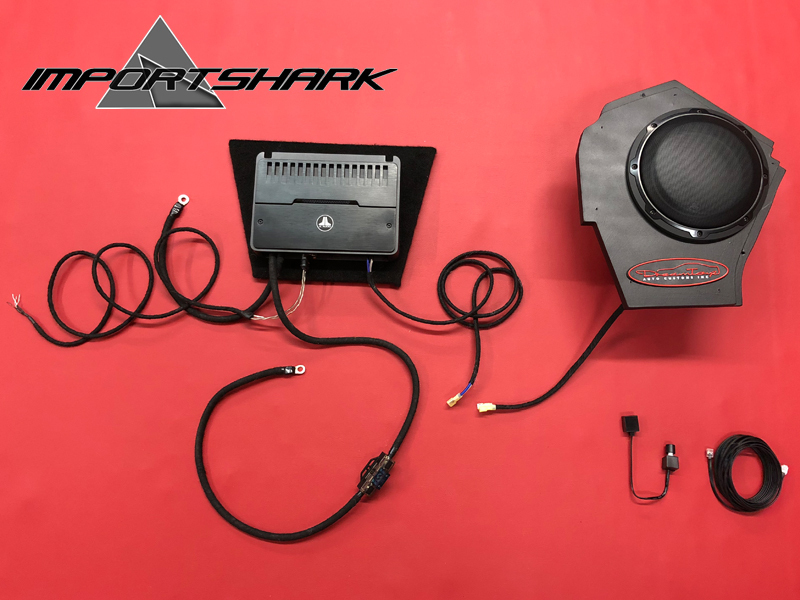 The perfect solution for Kia Stinger owners who want to get more enjoyment out of their car's sound system. 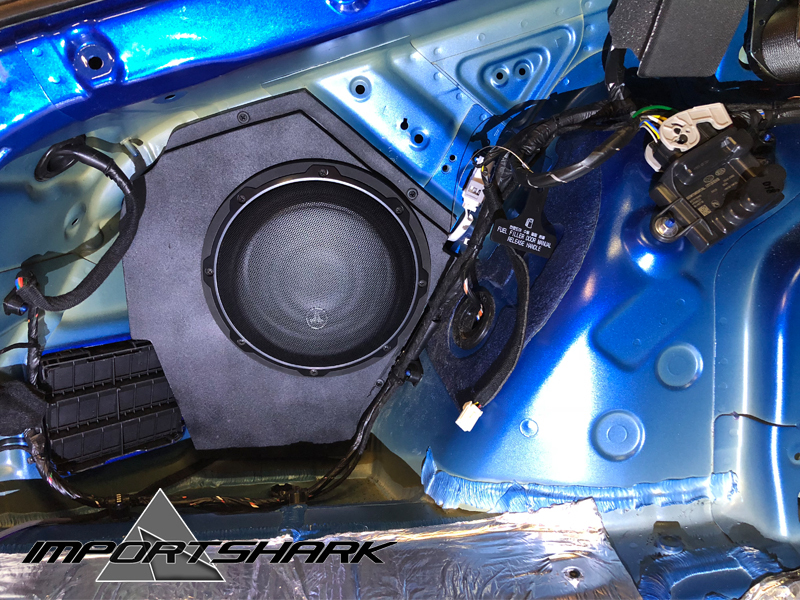 With this completely stealth JL Audio sub box, the sound comes to life with 250-watts of pure bass. 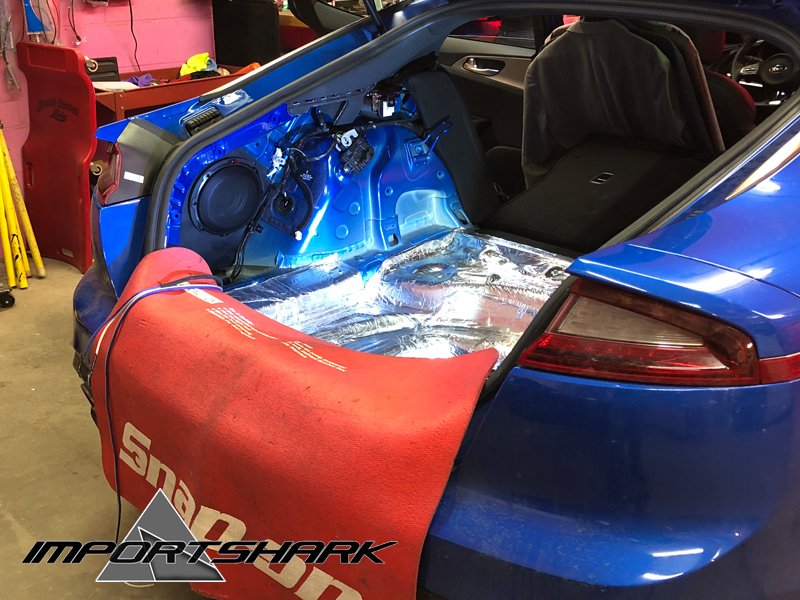 We have identified the perfect spot to add a custom subwoofer enclosure so that you do not have to sacrifice any trunk space. 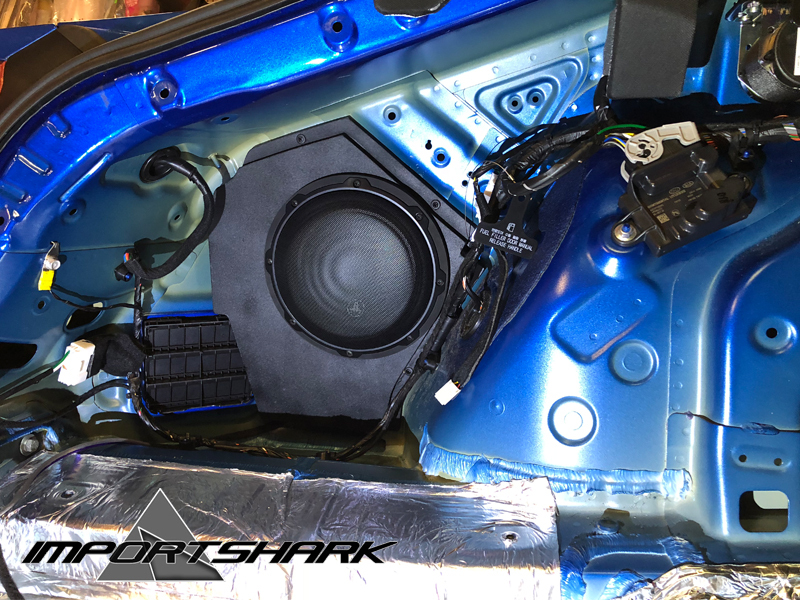 The subwoofer, amp and associated components are all completely hidden from view! this setup allows you to hide the subwoofer box behind existing OEM panels and the amp/amp mount is tucked in the spare tire well. This setup has been tested on a Stinger GT only. This should be 100% compatible with a 2.0L and 2.0L Premium. 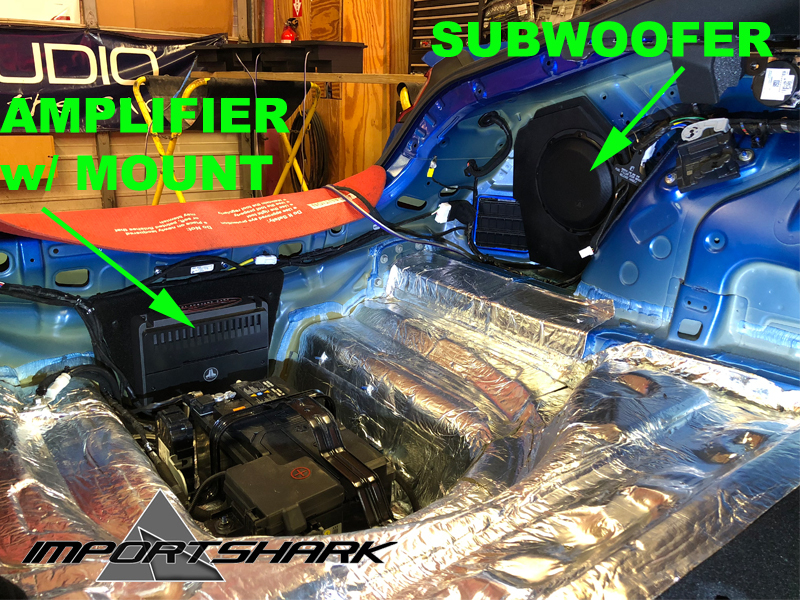 The subwoofer enclosure and amp mount installs will be identical on a GT1/GT2, but we have not been able to view the OEM amplifier and associated wiring for the Harman Kardon system. 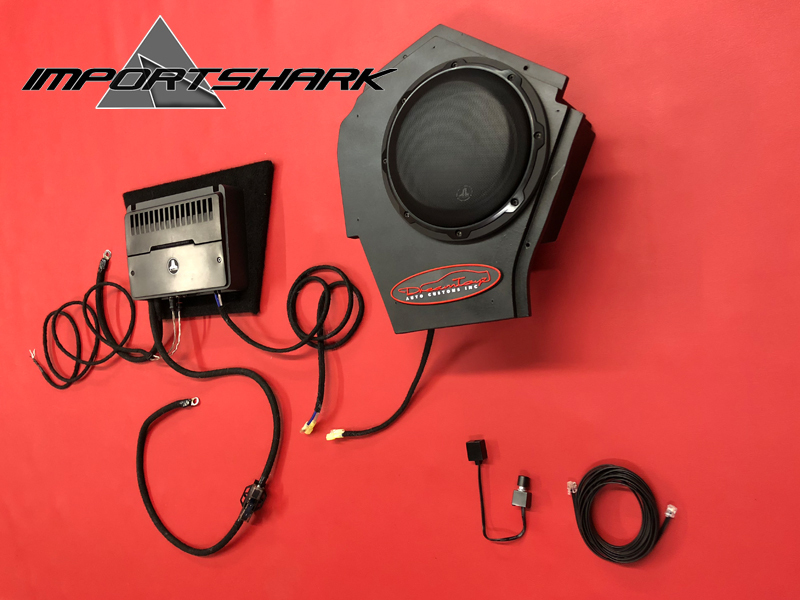 It will be compatible--and may be identical to the non-Harman Kardon setup--but we do not have detailed install information on that just yet. We will in the very near future.